Riyadh denies the prince had any involvement in the murder. A United Nations-led inquiry into the murder of Saudi journalist Jamal Khashoggi said on Thursday that evidence pointed to a brutal crime "planned and perpetrated" by Saudi officials. 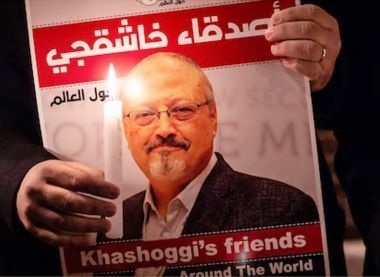 "Evidence collected during my mission to Turkey shows prime facie case that Mr Khashoggi was the victim of a brutal and premeditated killing, planned and perpetrated by officials of the State of Saudi Arabia," Agnes Callamard, UN special rapporteur for extrajudicial summary or arbitrary executions, said in statement issued in Geneva. She said her Jan 28-Feb 3 mission to Turkey with a team of three experts "could not firmly establish whether the original intention was to abduct Mr Khashoggi, with his murder planned only in the eventuality of this abduction failing."